Most of the time when we think about the A's, we think of their activities on the field. But off the field, they remain a team, looking to one another to find friendships and learn just a little bit more about the rest of the players in the clubhouse. 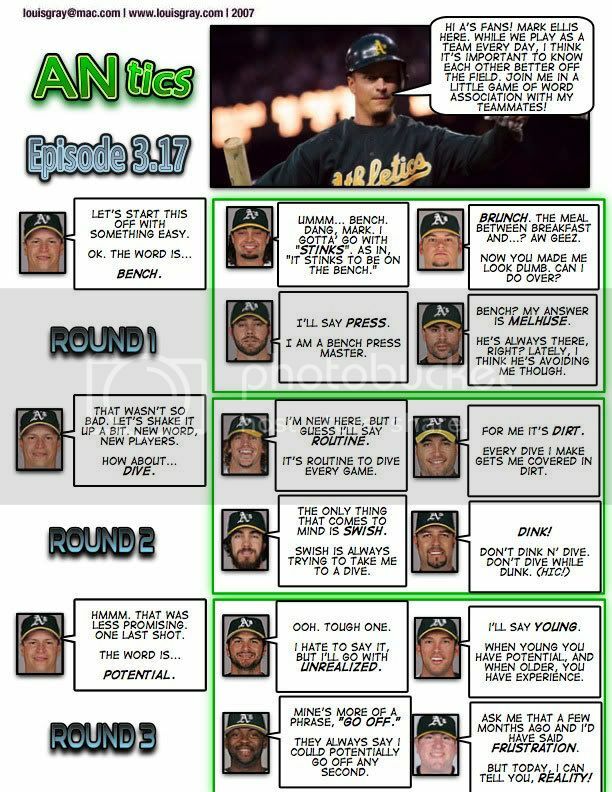 A's second baseman, Mark Ellis, guides us through a common game of word association, with the A's.